Confession Time: The holidays have always been my favorite time of the year and also the most stressful. I love to sit down and make a list of all the loved ones in my life and identify the perfect gift that will bring them joy. It doesn’t stop there, I love to have all my family members gather under one roof celebrating the holidays together, exchange gifts right after we have consumed a Christmas dinner, and watch their eyes light up when they open them. The only part I am not a fan of is what happens days before the big day. I’m talking about making that trip to the mall which starts with me patrolling the aisles for a parking spot, followed by arriving soaking wet or extremely cold due to the long walk from where I parked my car to the mall entrance. Can you feel the tension I am already going through, and I haven’t even purchased a single gift. For the next 2-3 hours, I am going to be boiling hot wearing my winter coat indoors, hungry and thirsty while trying to shop for my family & friends, followed by making frequent trips to the car to drop the gifts off so I don’t have to lug them around. After this is done, I have to buy wrapping paper and make the time to watch a YouTube video about how to wrap a gift (the holidays is the only time you will never see me give a gift in a gift bag). Just sharing the last paragraph with you feels stressful. But here’s the beauty, that was the old me before I got the RBC Visa Infinite Avion Card. I’ve had the Avion Card for over a year and the changes I have seen to my life during the holidays have been phenomenal. So when the folks at RBC reached out to me to share the perks about #Avioning and the Avion Holiday Boutique with you, I was happy that I could show you why this is the card you need to have in your wallet for a stress free holiday with the best travel perks. Let’s go back to my pre-Avioning days and see how much it has changed since I started Avioning. During the holiday season, I no longer have to spend 5-10 min patrolling the aisles for a parking spot. I can drive to the Yorkdale Shopping Centre and access their complimentary valet service as an RBC Avion Card holder. Once the valet has taken my vehicle to park, I can stroll in to the Avion Holiday Boutique and use their Coat Check service to drop off my bulky winter coat so I’m light and comfortable when shopping for my family and friends. Anytime I feel like I have too many items in my hands, I can go back to the boutique and drop off the gifts OR take advantage of their complimentary gift wrapping station and have the gifts scheduled for wrapping by their staff members. To get my gifts wrapped, all I would need to do is show the items were purchased in the mall the very same day and arrange for them to be wrapped up before I leave the mall. Those are not all of the perks you get when you are Avioning. 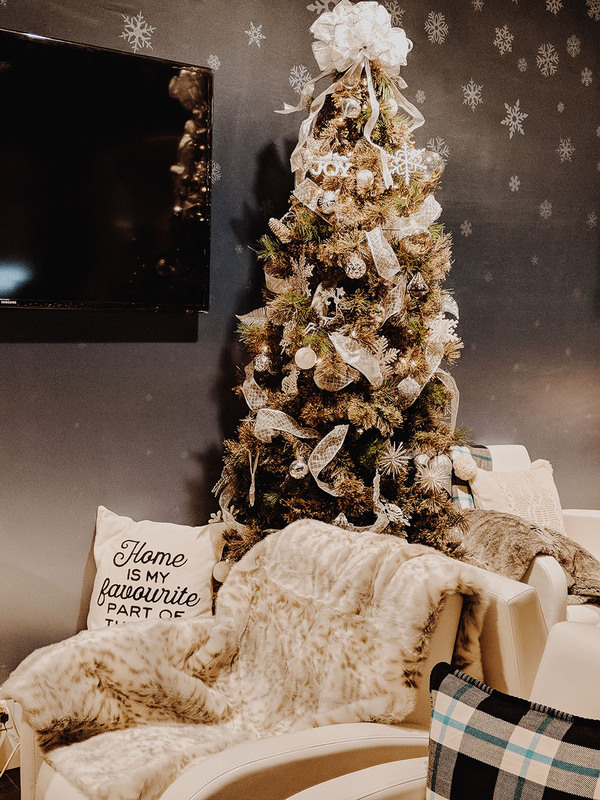 If you want to take a break from shopping (or in my case the hubs wants to take a break), you can sit in their lounge and grab some snacks and coffee or hot chocolate before you get back to shopping. With all the purchases you make while being an Avioner, the wonderful folks at RBC have setup an area where you can see what you can get with your points. Grab a gift for your loved ones with your RBC Rewards points, or escape to a sunny destination with zero worries about blackout periods. Don’t know where to go? Try their virtual reality experience and let them inspire you to escape somewhere sunny and warm, or if you love the cold, maybe head out where the slopes are high. 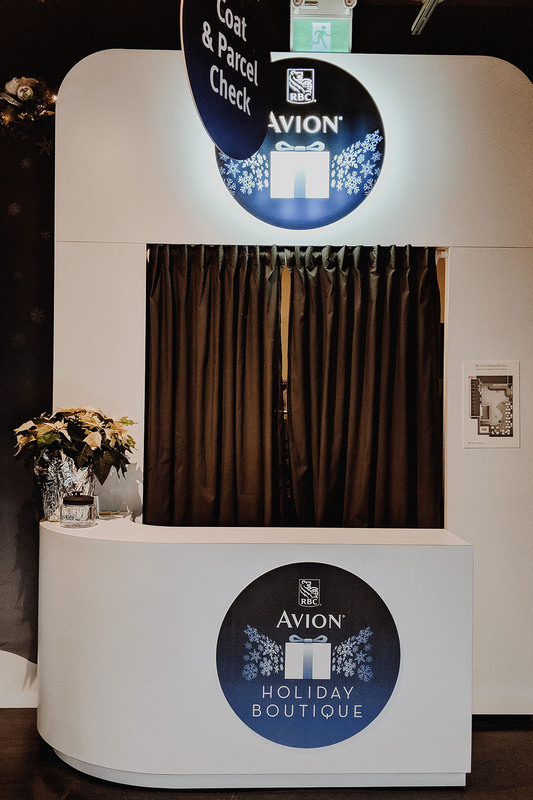 When you are done your shopping and getting all your gifts wrapped up by the wonderful folks at the Avion Holiday boutique, you can take advantage of their Porter service and have them take your items directly to your car (no more making frequent trips to the car). Last year, I took full advantage of my Avion card for the holidays. 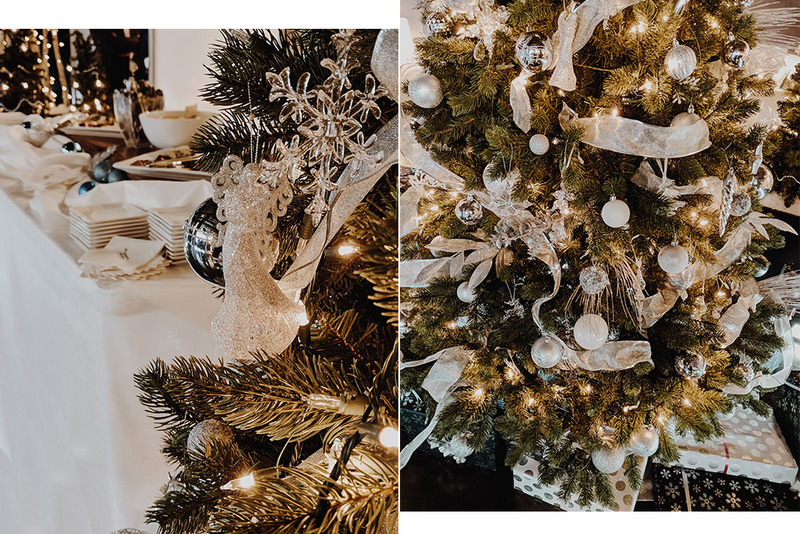 Being pregnant with twins and a few weeks shy from delivery, the folks at the Avion Holiday Boutique were gems in helping me get everything I needed for the holidays and for the babies before they were born. This year my hands are full with two babies and my Avion has come through for me again by letting me focus on what’s important to me. Celebrating the holidays with my loved ones – stress free. Download the RBC Avion Passport App and view all the perks you can take advantage at the Avion Holiday Boutique (like dropping off your presents for wrapping) and keep track of your RBC Rewards offers. This is a sponsored post written by me on behalf of RBC. All opinions written are my own. You look stunning babe as always. Hope you enjoyed your holidays! Gorgeous outfit dear! Love the trench coat, really pretty look on you.